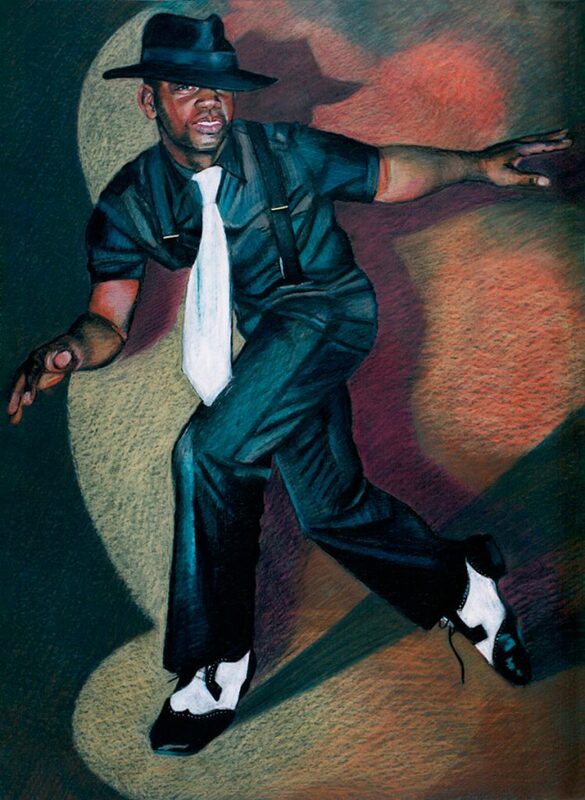 A superb painting of a dancing male figure created in oil pastel – a striking pose captured under the spot- light in his world of dance. The dark trilby, shirt and trousers with braces, stand out in contrast to the bright light surrounding him. We can almost feel the energy!